Quite a long post which is picture heavy but I always enjoy to see what people have been buying.. I know this is more suited to a video on youtube, but I don't do videos so sorry about that! 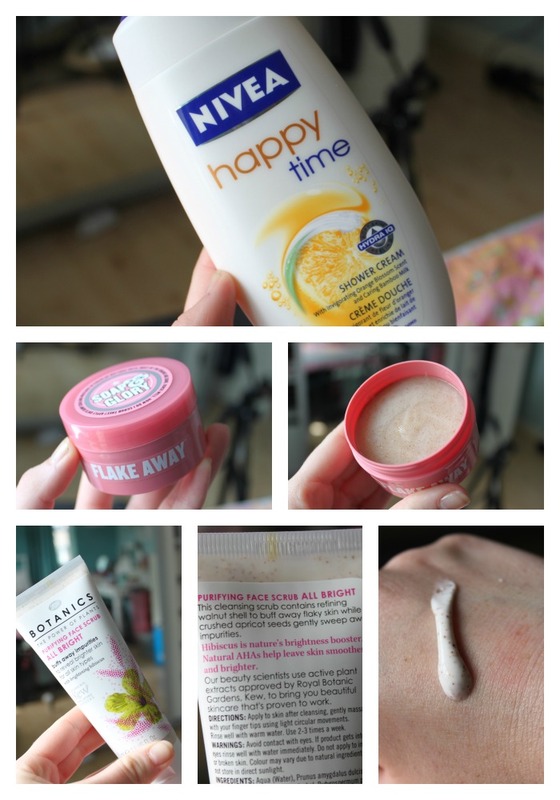 Nivea Happy Time body wash - this stuff smells amazing, so summery, and who can't like the name! plus it was only 97p in Boots! Soap and Glory Flake away - £2.50 this is a lovely exfoliator and it also smells gorgeous and leave skin feeling silky smooth. I goth the travel size as I thought it'd be perfect for my holiday! Boots Botanics - Purifying Face Scrub - yet to use this but I thought i'd pick it up. 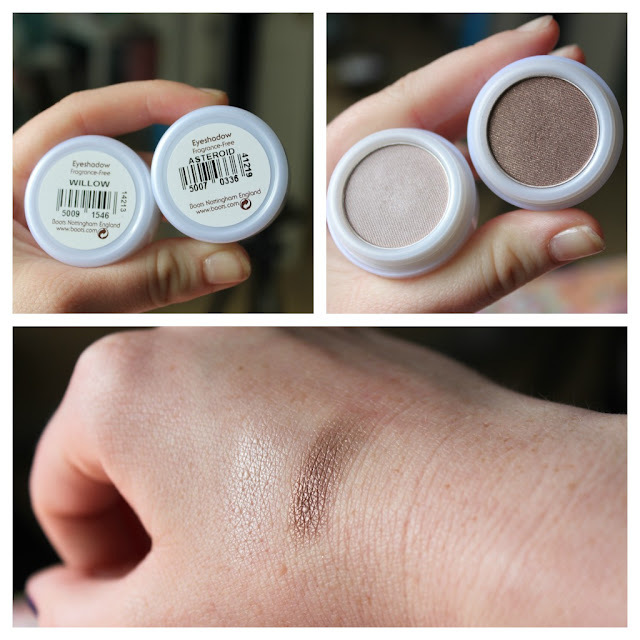 Natural Collection eye shadows in Willow and Asteroid. These are such great quality products, and really good value. 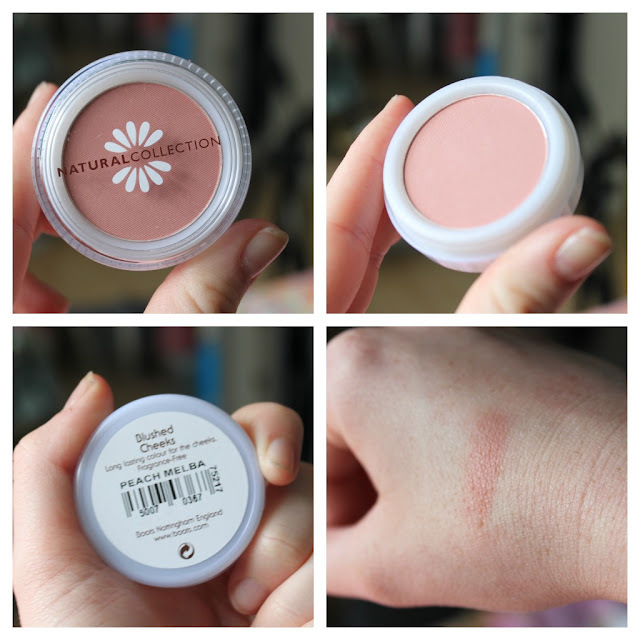 It was 3 items for £5 so I couldn't help but get a blush too..
Natural collection Blush in Peach Melba. has really good colour pay off and gives a lovely healthy glow to the cheeks, the colour on my skin actually works a bit like a bronzer - shows how pale I am ha! I've never tried any of the Natural Collection at Boots but the colour eye shadow and the blusher are both lovely! i'm laura and i'm new on here too. i really want to try the peach melba blush, i've bbeen meaning to for ages. anyway, you seem really lovely so i hope we can speak soon!